Disclosure: I received complimentary tickets to review this show and share our experience with you. The opinions are 100 percent my own! Music has always been oxygen to me. It is apparent I have passed this trait on to my soon to be 7 yr old daughter! She sings, she dances and she gets lost in the beats just like me. While I love this aspect, I am always concerned with some of the more “adult” lyrical content of today’s pop hits. A few years ago I found a great solution to this modern problem. It is called KIDZ BOP. Some of my child free followers may not know what that is. No worries, I am here to help! KIDZ BOP is a musical group that takes all the current top 40 hits and remixes some of the lyrical content within the songs to make it more kid-friendly. They use very similar music and most of the lyrics are the same.The most important difference is any cursing and sexual innuendo are replaced seamlessly with more kid appropriate lyrics. Young talent with amazing vocals do the cover songs. They also come up with dance moves to go with the dance tunes that will sure to get any kiddie party started! So when I learned that this group was touring and stopping in Raleigh,NC at Red Hat Amphitheatre, I wanted to surprise my soon to be birthday girl with her very first concert experience! It actually was our first mother and daughter concert date and we had so much fun! KIDZ BOP has been Billboard Magazine’s #1 Kids’ Artist for eight consecutive years (2010 – 2017). What works so well is the fact that each song they produce could stand on it’s own as an original. Most of our Friday Family Fun Nights at home consist of my daughter and I having our own dance or lip sync battle to any of the songs from the latest Kidz Bop Album. My husband will even play it in the car to just jam out during road trips. Parents, kids, girls and even boys enjoy rocking out to KIDZ BOP which is why the Kidz Bop Live 2018 Summer Tour is a must see! The concert was 90 mins long with a 15 min intermission and featured 20 hit songs. Our favorite moments were dancing along to the Kidz Bop Shuffle, singing along to Havana, and other latin hits like Despacito / Mi Gente. We also liked all the Bruno Mars songs: Uptown Funk/ That’s What I Like/ Finesse / 24K Magic and the 90’s Dance Off featuring adults from the audience was EPIC! They showed us their best dance moves to Whoomp There It is / Jump / Poison / U Can’t Touch This and we the audience got to choose the winner by giving the loudest applause. I had alot of Friday Night fun with my little one at #KidzBopLive 2018 at Red Hat Amphitheater in Downtown Raleigh. Those KIDZ BOP kids are so talented and put on an amazing show! Catch some of their singing [and our dancing] via my @sobesavvy u instatories and be sure to check out LiveNation.com to see what other concerts are coming to the the Triangle! This past weekend, SobeSavvy.com was out and about in Downtown Raleigh for Hopscotch Music Festival. If you saw my recap from last year Hopscotch 2016, then you know this is a fun festival for music lovers that is not to be missed! This year for #Hopscotch17, there were 120 Bands and Four Days of shows playing at the large outdoor main stages in Raleigh City Plaza, Red Hat Amphitheater, but also perfomances at The Basement inside the Raleigh Comvention Center plus day parties at the local clubs/bars. The festival features music for everyone in almost every genre: rock, hip-hop, metal, folk, electronic and more! For me, that’s what makes Hopscotch unique because it’s not genre based and does not cater to one specific type of music. It appeals to those of us who believe music is universal and all are welcome to enjoy it in the city of Raleigh! Downtown Raleigh and its many venues makes this the perfect place for this festival because once you park your car, you can literally just “hopscotch” all around downtown and take in the acts. We downloaded their fantastic interactive app that allows users to customize their own music festival acts they want to see. I decided to share our highlights on Hopscotch 2017 based on the venues and the people, performances and festival fun we saw at each place. Take a look and I hope you are inspired to go next year! The Convention Center serves as the command center (in my opinion) for the festival. Here is where the festival fun begins after you pick up your wristbands from Wristband City (which allows you entry to see acts at all the venues). This is also the place where you can buy swag from the official Merch Market or even a cool piece of poster art from Flatstock. Hopscotch made great use of the convention center by creating a new venue space called ‘The Basement‘. An Exhibit Hall was transformed into a indoor club with a cool vibe complete with two full bars, a great sound system and plenty of dance space. Here is where we saw performances from Har Mar Superstar, Lee Fields and the Expressions and Kaytranada. Watch a video recap >>here<< of their performances and if you want to see more photos, check out my facebook album. Just a couple of blocks over from the Convention Center at 400 Block Fayetteville was the City Plaza stage venue. They had all sorts of vendors/booths to buy and sample food and drinks. We had some great samples of IPA beer at the Goose Island Tent to get our party started! On Friday, we saw Future Islands ,who hails from my hometown of Baltimore,Md. They are a synthpop band whose performance in 2014 on The Late Night Show w/David Letterman gave them national exposure and a expanded fan base. They rocked the plaza with their energy and passion! Saturday we returned to City Plaza for Big Boi hailing from A-T-L Georgia! The now iconic group OutKast was the soundtrack of my younger years, so I was very excited to see one half of that dynamic duo. He was joined by producer Sleepy Brown, who is a great artist in his own right. He ran thru a medley of OutKast hits like “So Fresh and Clean”, “Rosa Parks” and “Ms. Jackson” to name a few. Big Boi has not lost a step since their heyday. He rocked the mic as the hip hop legend that he is. Many of us rapped along to every lyric and turned the City Plaza venue into one big outdoor hip hop party! See video clips of the performances by Future Islands and Big Boi at City Plaza >>here. Maple View ..won for Best Gluten Free! (I had some of their ‘Wolfpack Praline’ and it was soooooo good! Trophy worthy! The Lenoir Street Party which ran all weekend, was also where Hopscotch ran their 2017 Food Drive. Inter-Faith Food Shuttle offered $5 off festival apparel and a chance to win 2018 VIP passes with a non-perishable food item donation. This food drive also featured a life-sized cartoon art installation and can sculpture by Paul Friedrich, all sponsored by Coastal Credit Union. Beer & Wine, Spirits sampling booths were there but our daughter #outandaboutAva had the most fun traveling back in time to try 3 soda flavors of 1893 from the makers of Pepsi Cola and crafted in the Carolinas. We got some cool wooden like sunglasses and enjoyed some photo booth fun! Lots of interactive tents and food trucks made this a great way to spend a sunny Saturday afternoon. Red Hat Amphitheater is Raleigh’s premier outdoor concert venue and this is where headlining act Solange set the stage ablaze with her stellar performance! Solange had what I like to call the album of the summer. Entitled “A Seat At The Table”, this album features songs filled with affirmations of self love, positive messages and healing. Her show combined what Hopscotch is all about: Music & Design . Her entire band and backup singers dressed in red gave us a what look and felt like a solar experience! She took all in attendance on a ride and none of us wanted to get off. See youtube video recap of Solange >>here << and thank you for reading. Bravo to Hopscotch Music Festival for another wonderful year! Ever been to a show that was cold and lit “at the same damn time”?! Well that’s how it was here in Raleigh, NC at the Trap or Die 3 Tour when Jeezy AKA The Snowman came to perform at The Ritz ! The sold out concert was filled with fans who came to see a living legend in the rap game. Young Jeezy is one of the pioneers who created and popularized the Hip Hop subgenre called “trap music”. He hails from Atlanta and took time to rep for the “404” during his extended set. The crowd came to bounce, scream and have a good time. The venue was packed wall to wall. Opening up for Jeezy was Raleigh’s own Ace Henderson, followed by Lil Durk who did a great job in getting the crowd hype for the Snowman. If you hurry, you can check out more of the concert on RitzRaleigh’s Snapchat. If you are thinking about seeing Jeezy in concert, let me assure you it was a pretty good show. In fact, it was Trap or Die! Everyone had a good time rapping along to his extensive song list.Hits like: That Trap or Die 3! Going Crazy, Bout That, Old joints! That 103. Young Jeezy bought all of Raleigh & Durham’s Atlanta hip-hop fans out ! Standing room only! As my friend Sam the Man would say “It was flavor for real”! Don’t miss the chance to experience your favorite Jeezy “Trap” tracks performed at a venue near you! Yo Baby, Yo Baby, Yo!!!! Old School ruled and packed the house last night, Saturday February 4, 2017 at the Raleigh Memorial Auditorium for the Back 2 the 80’s Tour ! Fans came out ‘funky fresh dressed to impress ready to party’ to see this show featuring Doug E Fresh, Slick Rick, Big Daddy Kane, Whodini, Al B Sure, Cherrelle, Hi Five and Chubb Rock! The music was great, the vibe was nothing but a Generation X party y’all and I would definitely recommend seeing this show if you love old school REAL Hip Hop and RnB. Cherrelle opened the show. She became legendary with a myriad of solo hots and also with Alexander O’Neal. Father time has done nothing to slow her beauty or vocal chords. Followed by Chub RockChubb had great interaction w/the audience as he hosted an old school hit after hit review ! Hi-Five sang a melody of their greatest hits including “The Kissing Game”, They also paid homage to New Edition, with “Can You Stand The Rain” . Here is a short clip of Al.B.Sure working his way thru a crowd of lady fans singing RnB classic “Secret Garden”. It was an uplifting experience for one lucky fan! Whodini: The trio of Jalil Hutchins, John “Ecstasy” Fletcher, and Drew “Grandmaster Dee” Carter filled the early ’80s with memorable jams such as “Magic Wand” and “The Freaks Come Out at Night,” which they performed while escaping from straitjackets underwater. They were in all their glory onstage with their infamous wide brimmed hats and all. Slick Rick: Allmusic dubbed the Grammy-nominated rapper “hip-hop’s greatest storyteller” for reasons that become obvious when listening to hits such as “La Di Da Di” and “Children’s Story”. This UK import has a unique way of weaving a tale while keeping a rhythm all of his own. It took me back to middle school and just had me smiling from ear to ear. Doug E. Fresh was as always was the MC extraordinaire. He kept the crowd grooving with his unique blend of rap, beat box.He is literally a walking encyclopedia of hip hop. One of the originators of the genre. His icon status was on full display as the crowd went wild during his set !! Look out for the Back 2 the 80s Tour coming to a city near you ! Check your local listings and Ticketmaster to buy tickets here ! Fans can literally just hop and skip to see multiple acts one after another after another just a block or two apart ! This is Hopscotch’s 7th year throwing one of the most fun and eclectic music festivals in the nation. This year over 20,000 fans can expect to see 120 regional and national artists/bands in various downtown clubs and theaters. Some acts are even performing at the CAM art museum. We spent 9 straight hours Friday taking in as much of the festival that we could! For the first time in festival history they utilized The Red Hat Ampitheatre for Friday night. The weather was warm and sultry. In other words..PERFECT! The festival’s “wristband city” was set up inside the Raleigh Convention center. Attendees went there to pick up their wristbands and visit various sponsor booths and view some eclectic modern art pieces. The soul blues rocker himself, Gary Clark Jr performed a great set. He is an amazing guitarist and vocalist that reminds one of past soul rock greats. Up next was the headliner, the amazing Ms. Erykah Badu. She blessed the fans with an extended set which included her playful banter and many of her great hits. Fans delighted in her spiritual energy and unique force of her voice. Unlike most music festivals that are centered around one genre of music, Hopscotch defies that norm. Artists here perform almost every genre one could imagine. From Bluegrass and country to New Orleans own gender bending self proclaimed “Queen Of Bounce”, Big Freedia. Freedia performed a late night/early morning set at the famous Lincoln Theatre venue. The crowd was diverse and full of bounce energy. Big Freedia and her crew gave what can only be descibes as a “COLORFUL” performance ! See the IG video below, which clearly verifies my description of her performance. Artists perform indoors at various clubs and music venues that fans must have a paid wristband to enter but some acts perform in open air city plaza downtown where anyone can just hang out and vibe to the unique welcoming atmosphere that Hopscotch is known for. Fans can opt to purchase one day wristbands, which gives you access to all venues and Red Hat on Friday night or for a real deal, buy a 3 day band to enjoy everything and everyone the festival has to offer. They also have a fantastic App for the festival where you can build your own custom schedule of acts you want to see. Get in in the Google Play Store for Android or in Apple App Store. You still have a few hours to enjoy the fest..See ya next year !! With all the gloominess that is being felt in the world, it was nice to be unified last night by MUSIC. 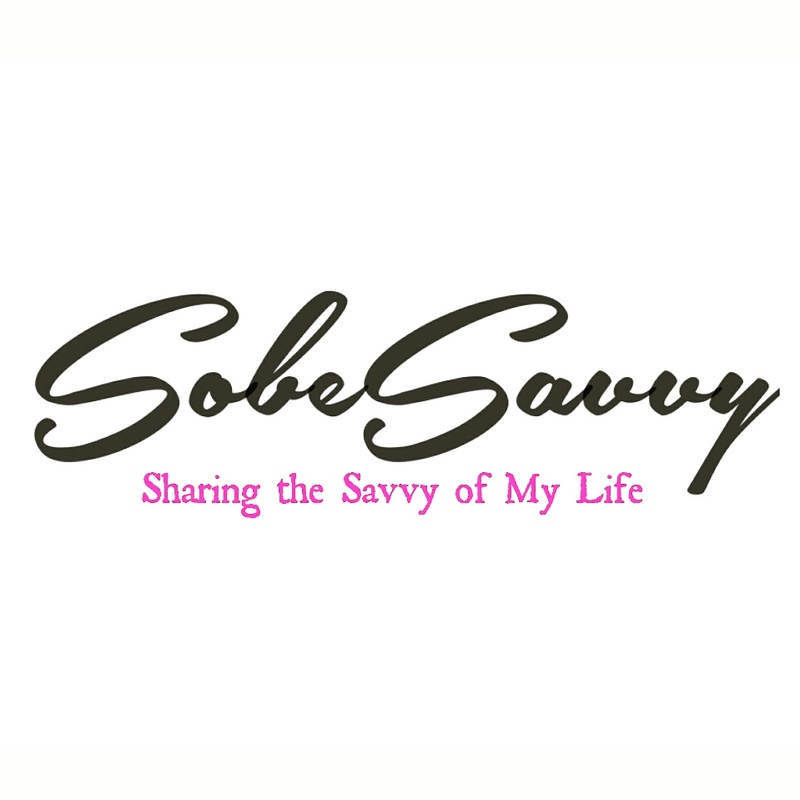 SobeSavvy.com joined live music lovers from Raleigh, Durham, and surrounding areas, to witness two legends of R&B and funk: Cameo and The SOS Band with special guest The Gravedigger on July 9, 2016 at The Red Hat Amphitheater ! Founded in 1974 as New York City Players, they had to change the name because of a conflict with the funk bank named The Ohio Players, they became Cameo. This group has stood the test of time the way few bands have. In the fickle business that music has always been, Cameo has pushed the envelope ,not only musically but visually. Their stunning music videos in 1980’s and 90’s are still examples of the best video artistry of their time. They did not dissapoint !! Enjoy these photos taken last night at Red Hat Amphitheater ! KIRK FRANKLIN…20 Years in One Night World Tour..was truly an amazing show full of energy and testimony! For nearly two decades, Kirk Franklin has been one of the most prominent voices in gospel music. His unique way of combining hip-hop, pop, R&B, and gospel has garnered him fans across multiple genres as well as critical acclaim. That’s why I could not miss the opportunity to see him when he came to DPAC on Saturday, June 4, 2016. Kirk Franklin has been a multi-platinum-selling purveyor of majestic fusions of gospel and contemporary music. His music has resulted in albums that consistently top both Billboard’s Gospel and Christian charts, as well as ascend into the Top 10 of the R&B/Hip Hop chart. His unprecedented penetration into the mainstream has fortified him to also become a New York Times bestseller author for The Blueprint: A Plan for Living Above Life’s Storms. Franklin is also the host and executive producer of the gospel talent show “Sunday Best,” the highest-rated gospel program in BET network history now heading into its fourth season. To date, Kirk has garnered nine Grammy® Awards; an American Music Award; 39 Stellar Awards: 16 Dove Awards (CCM); eight NAACP Image Awards; two BET Music Awards, a Soul Train Award and numerous others. Last night he told the sold out crowd that ever since he was a little boy he knew he wanted to make gospel music that would make people dance. He has made a career of successfully combining “the music he likes with the God he loves”! Tonight when the house lights came up , a gospel rockstar came on. Kirk Franklin has a spirit and energy that is unmatched. He danced and he pranced. Along with a wonderful band and background singing ensemble, Kirk did a plethora of his old and new hits. He lead the audience in song and sometimes in prayer. This concert can only be described as an enjoyable experience. Part church, part concert… all love! Here is a bit of what we experienced last night in Durham, NC! To see more photos from the event go to www.flickr.com/photos/dpacnc for more on the red carpet at DPAC ! *Download and/or Print Photos for Free, Courtesy of DPAC! Be sure to check out your boy Kirk Franklin coming to a city near you! On April 27, THE FORMATION WORLD TOUR kicked off its North American concert leg in Miami, Florida at Marlins Park to a sold out stadium. Following her release of her visual album Lemonade, BEYONCÉ wowed fans in Miami by performing 35 songs featuring her hits both old and new. THE FORMATION WORLD TOUR, promoted by Live Nation, presented by American Express and produced by Parkwood Entertainment is the most visually creative concert I have ever seen. That visual album may be a poetic musical tribute to the strength and spiritual power of the black woman but people of all ages, shades and sexuality categories filled the stadium. Beyhive members came dressed in all black, or donned lemon yellow outfits. Some even wore IVY PARK apparel, the new activewear brand co-founded by Beyoncé. THE FORMATION WORLD TOUR is BEYONCÉ’s first solo tour since her ambitious Mrs. Carter Show World Tour in 2013. The sold-out tour spanning two years and five continents thrilled nearly two million fans and was hailed by critics worldwide. During the summer of 2014, BEYONCÉ and JAY Z launched the six-week ON THE RUN Tour (if you missed my review of that amazing tour, see here), playing major stadiums in the US. They ended the tour in Paris, France in September 2014 with two additional dates that were filmed for an HBO Special that was nominated for an Emmy Award. DJ Khaled along with surprise performances by Lil Wayne, Future, Rick Ross, Yo gotti , 2chainz and Miami’s own Trick Daddy warmed up a crowd that needed no warming up. They were here to see their Queen. The energy was palpable. Anticipation was high. As she appeared center stage on what I think has to be the most massive tour set ever created the crowd lost their collective minds. Beyonce and her dancers get in “Formation” …I promise you won’t be “Sorry” ! The performances are “Flawless” ! You will be reminded who “Run the World”, why Beyonce Giselle Knowles-Carter is a global icon and a favorite artist to many ( at least she is “Mine”) and that dancing to “Baby Boy” is good for the soul! “Hold Up”..I know many of you have started a “Countdown” to when Queen B comes to your town so I am keeping the specific details of the tour between “Me, Myself and I”. That way there are no spoilers “Runnin’” thru your mind “All Night”. “Don’t Hurt Yourself” or “Ring the Alarm” when you bear witness to Beyonce being a “Naughty Girl” live in concert. She is indeed an “Independent Woman”, a “Diva” who proudly announces when she is “Feeling Myself”. “Drunk in Love” ,“Rocket”, “Daddy Lessons”. She invited 2 women up on the stage to perform “Single Ladies” alongside her. The crowd went “Crazy in Love” for all the “Bootylicious” dance moves! The audience was given the opportunity to pay tribute to Prince while singing along to “Purple Rain”. With lighters, well cell phones in the air, people were singing and swaying side to side under the purple glow of love. That is what music does. It unifies people. That is what Beyonce wants for us all to get in Formation and love one another. The final set is where we in attendance got to witness a miracle. ( ok, I guess I will give one spoiler). Some say Jesus walked on water, well Beyonce danced on it while singing “Freedom” , “Survivor” (Destiny’s Child member Michelle Williams was there sitting nearby in the beehive) ,“End of Time, “Grown Woman” and “Halo”. Her set list really showcased all her vocal talents and amazing choreography.